The work of scholars such as Elaine Pagels and Marvin Meyer have captured the imagination of the public by setting forth the Gospel of Thomas and other lost teachings of Jesus. Now Peter Novak, in Original Christianity, brings forth a critical element essential for fully understanding these scriptures. Novak argues that the authors of these early texts subscribed to the Binary Soul Doctrine--an ancient belief system that allows for both reincarnation and an eternal afterlife. Novak�s interdisciplinary approach offers fresh insights on the beliefs and politics of the early church founders. He points out that reincarnation was a commonly held Christian belief until it was voted out of �official� Christianity and the record expunged. This newfound key reveals the true identities of many mysterious Biblical figures, such as Lazarus, Barabbas, Judas, and especially the Apostle Thomas, who may not only have been Jesus� identical twin brother, but indeed a second Christ in his own right, who lived to produce a genetically identical bloodline. 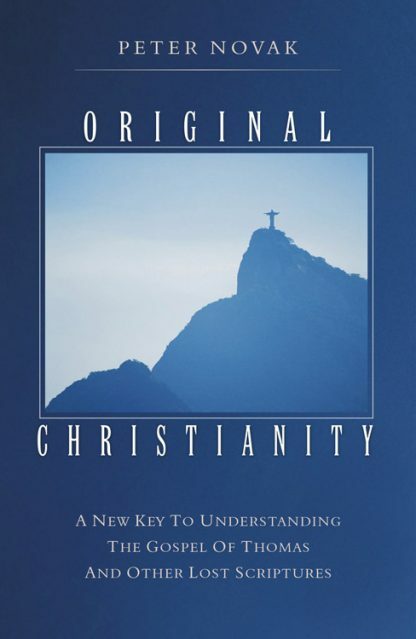 More important still, the rediscovery of the lost theology of Original Christianity means Christ�s central message of personal integrity can again take center stage.